When you’re at the top of the heap sometimes you don’t have to try as hard. After Microsoft announced its holiday-long Xbox One sales extravaganza in late October, Sony recently announced its holiday sales plans for the PlayStation 4. Unlike Microsoft, which is offering a $50 discount off its Xbox One console and bundle sales until January 3, Sony is only offering a traditional Black Friday deal. During the post-Thanksgiving sale, you’ll be able to pick up one of two PS4 bundles for $400. Both deals come with a 500GB PS4 consoles and include your choice of either Grand Theft Auto V and a digital download voucher for The Last of Us Remastered, or Lego Batman 3: Beyond Gotham and a digital download voucher for LittleBigPlanet 3. The two deals will be available in the U.S. and Canada—but gamers above the 49th parallel will pay $450 for the deal. 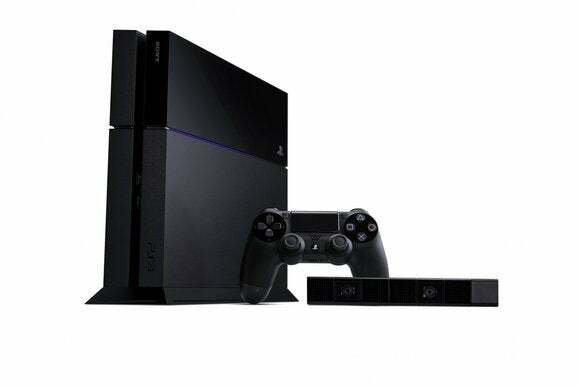 The impact on you at home: If the PS4 is at the top of your Black Friday list it'll pay to look around. The $400 bundles are only Sony’s official offerings, and you may be able to find better (or different deals) at specific retailers. On the Xbox side, Microsoft is officially offering various bundles starting at $349. But at Walmart you can try to pick-up an Xbox One Halo: The Master Chief Collection bundle for just $329 plus a $30 Walmart gift card. Keep in mind, however, that any retailer-specific deals you find for the PS4 are guaranteed to be available in far fewer quantities than the official deal from Sony. Walmart’s low priced Xbox One bundle, for example, is available starting at 6 PM on Thanksgiving night (November 27) as long as supplies last. Sony clearly doesn’t feel the need to match Microsoft’s two month long sale with a similar deal of its own. While that may be hubris on the part of Sony, the PS4 does appear to have a healthy lead over the Xbox One. Sony announced in August that it had sold 10 million PS4 consoles to end users worldwide. Microsoft, by comparison, said on November 12 that it was about to hit 10 million sales to retailers. Microsoft also said the Xbox One was the top selling latest generation console in the U.S. between late October and early November. Even though Microsoft publicized a different metric (sales to retailers vs. retail sales to customers), it’s fair to assume that most of those consoles are moving off the shelves and not sitting in retail warehouses. Nevertheless, hitting a sales target three months after your rival shows just how much the Xbox One is struggling against the PS4. The sales-based popularity contest between Microsoft and Sony could change dramatically as we head into the final months of the year. Prolonged Xbox One deals during the holiday season could help Microsoft close the sales gap. Regardless, with Sony ahead and apparently not feeling the heat from Microsoft, it looks like we’ll be seeing more Xbox One than PS4 deals this year.